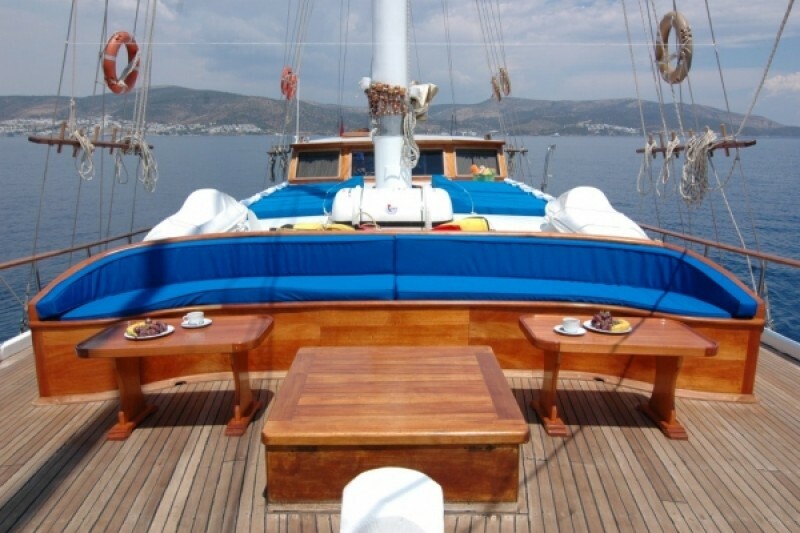 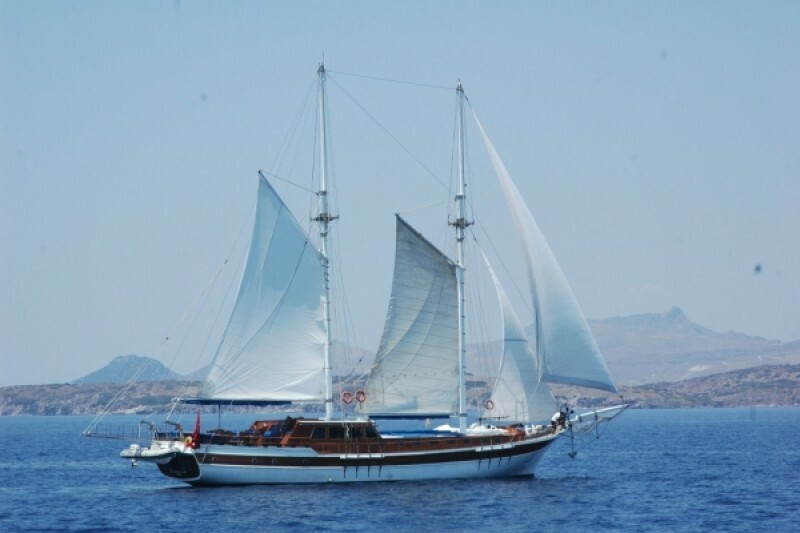 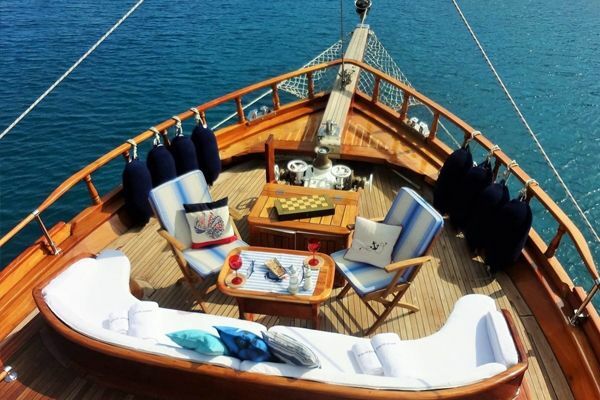 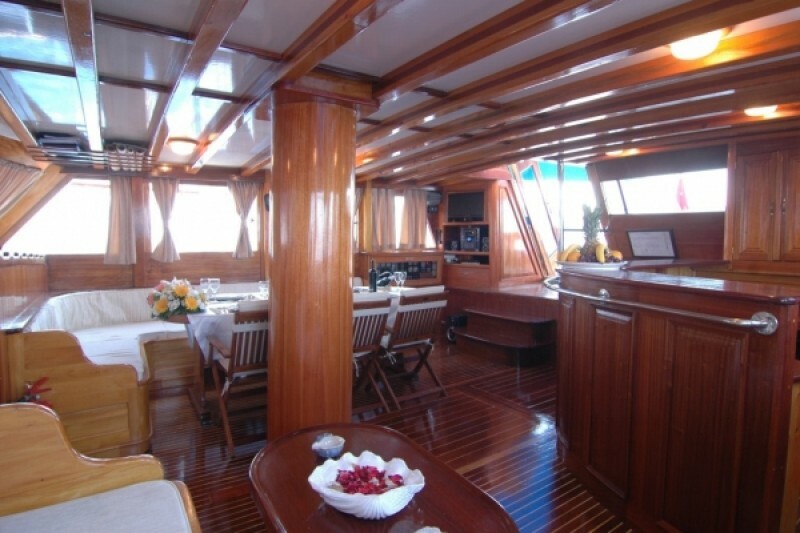 The Sunworld 6 charter gulet carries the attractive lines of a classic wooden yacht of the Aegean coast. 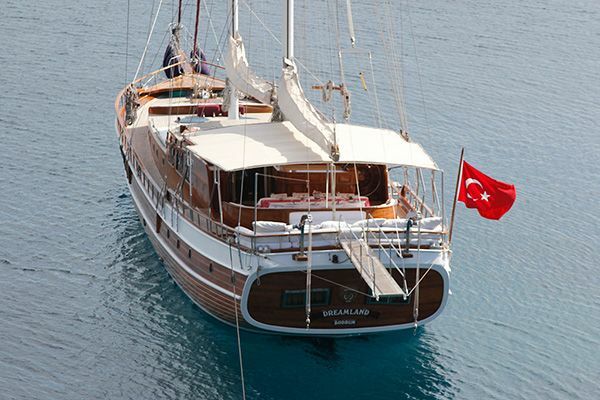 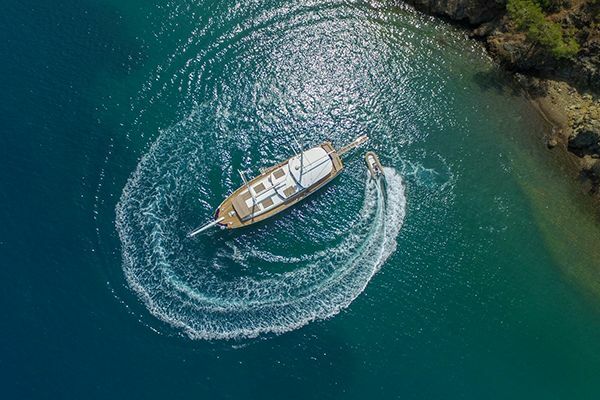 Like all gulet yachts in the Sunworld fleet, it is immaculately maintained and crewed professionally, and a firm favourite for regular visitors to Bodrum, the Turkish coast and the nearby Greek Islands to the northern Aegean Leros. 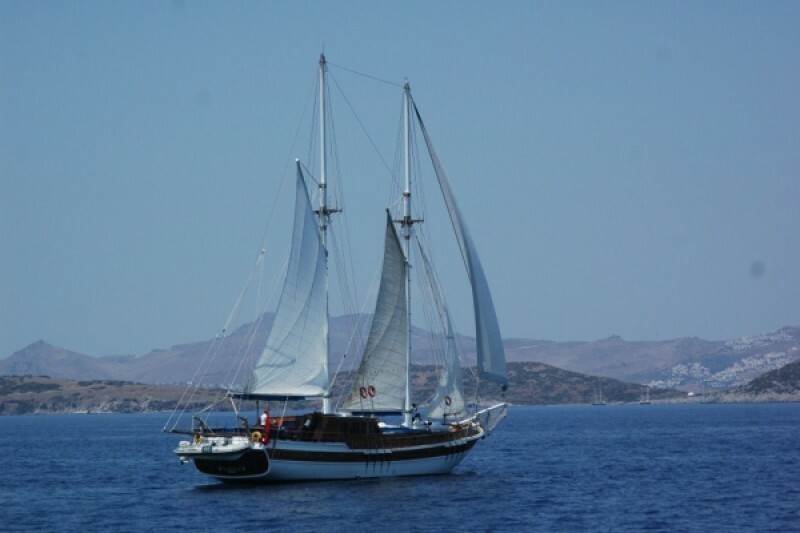 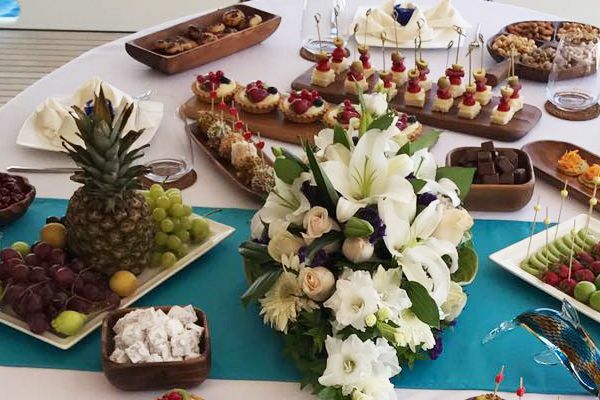 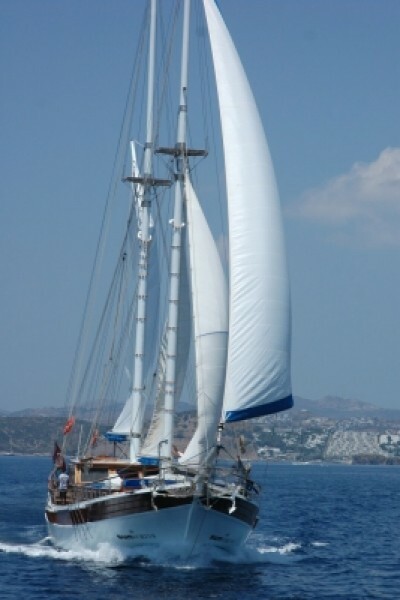 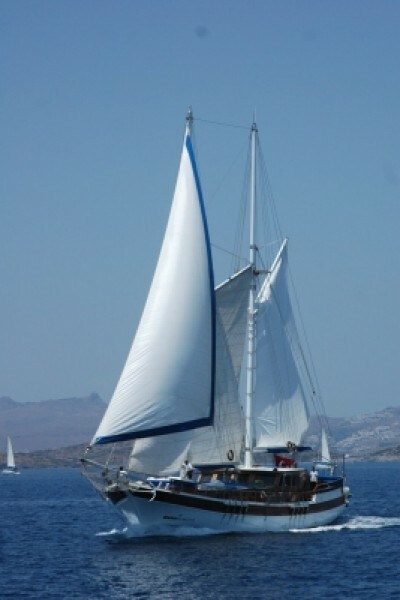 The gaff rigged, and twin masted ketch gulet will give guests the delightful experience of comfortable sailing. 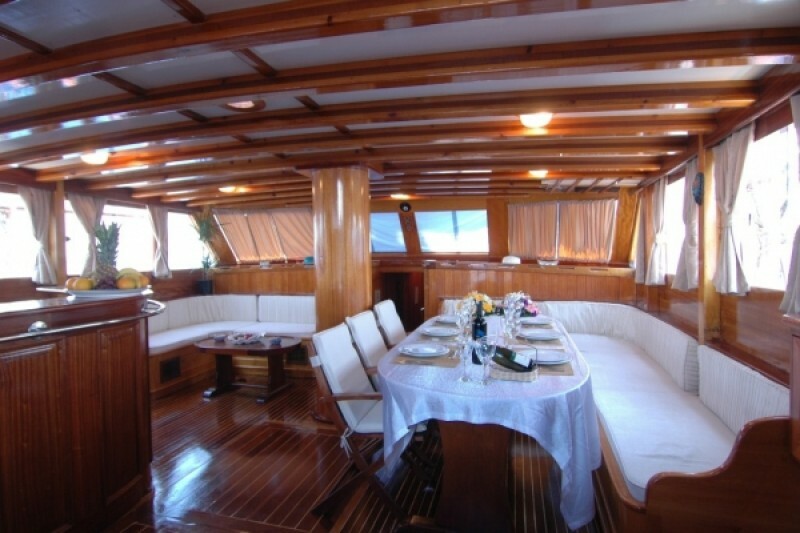 The air-conditioned saloon has all the comforts with both an indoor dining table and a separate seating nook, the TV/DVD and music system. 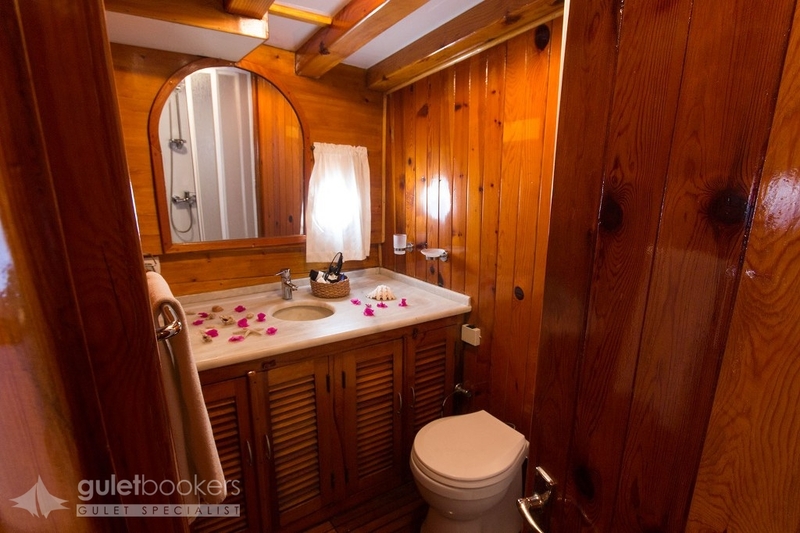 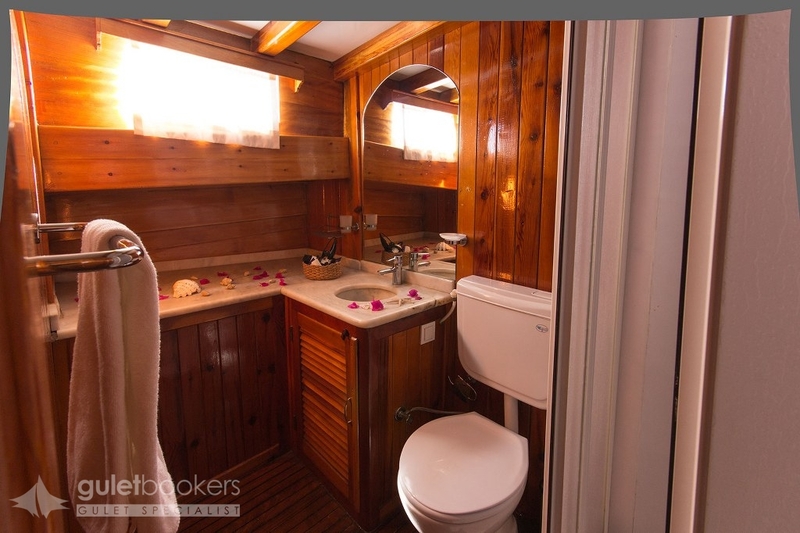 The seven, well laid out cabins all have air conditioning and their own bathrooms. 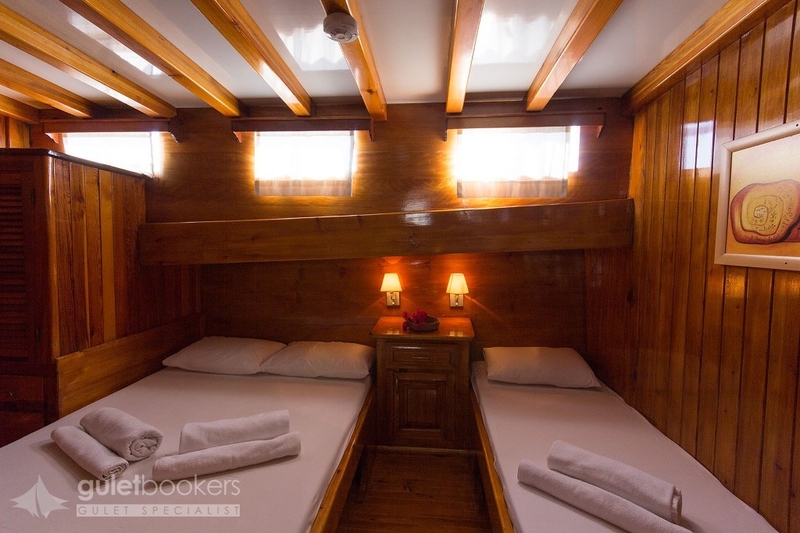 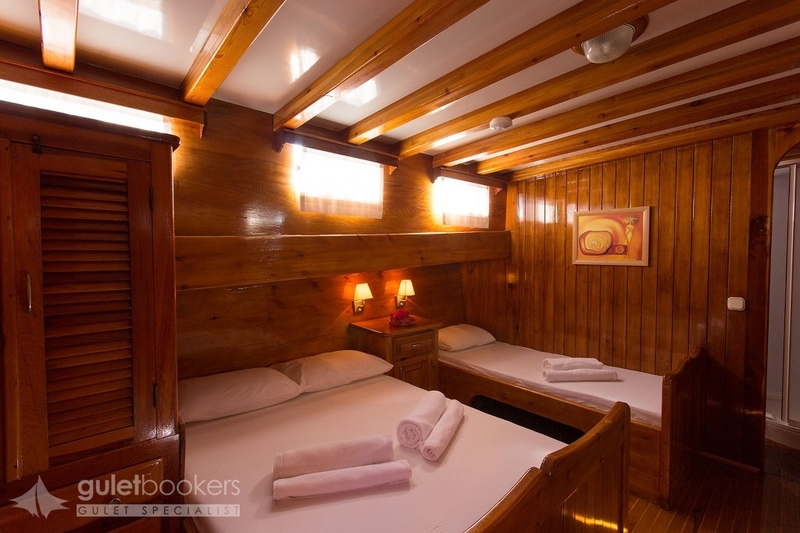 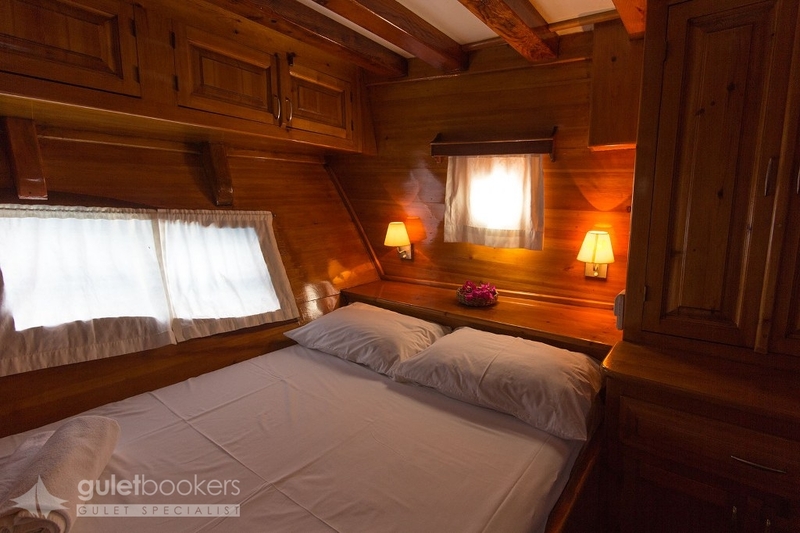 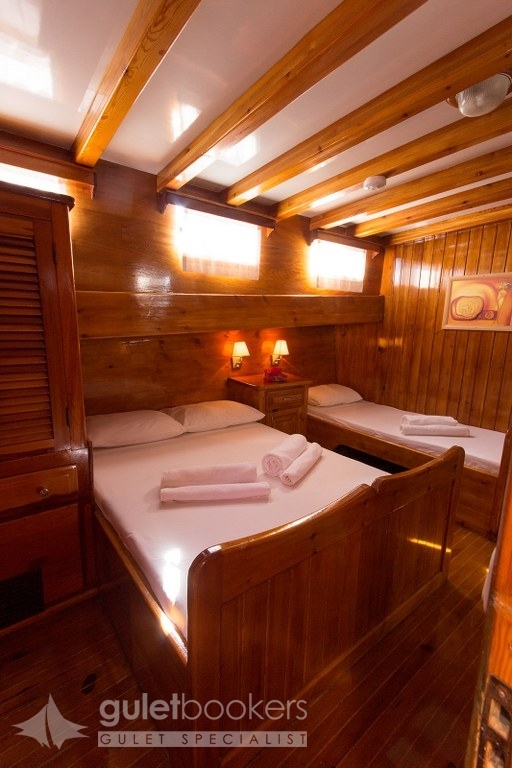 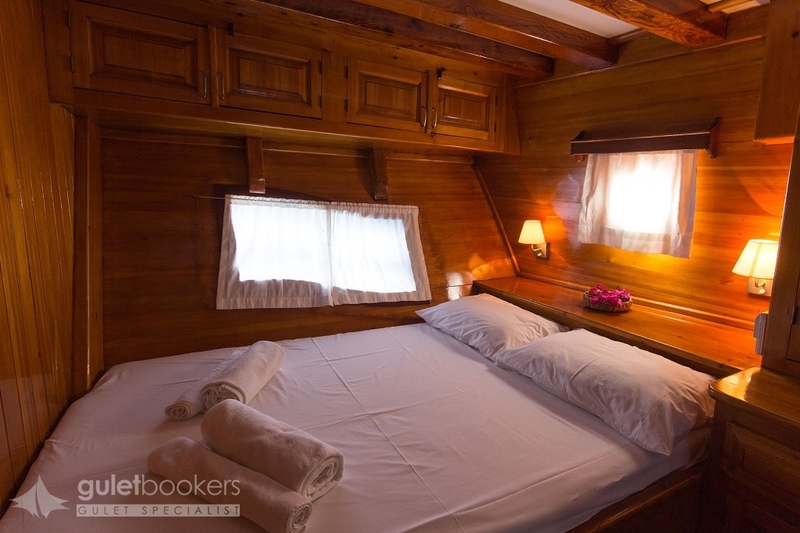 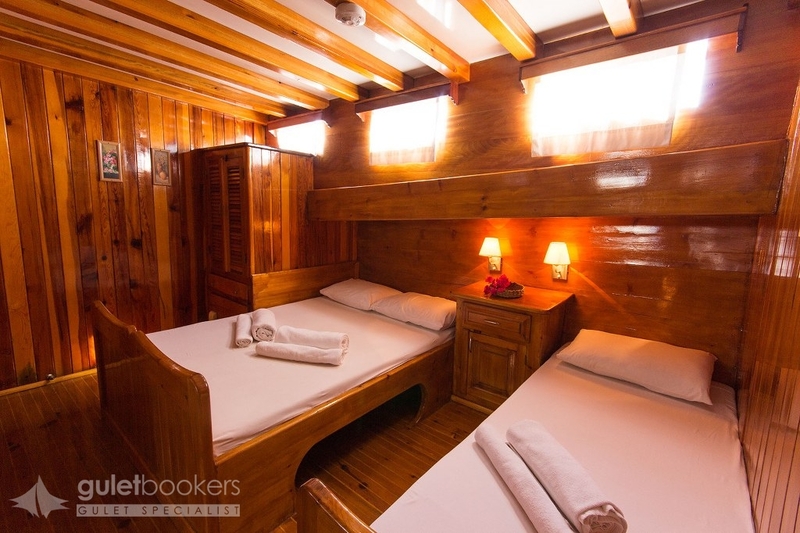 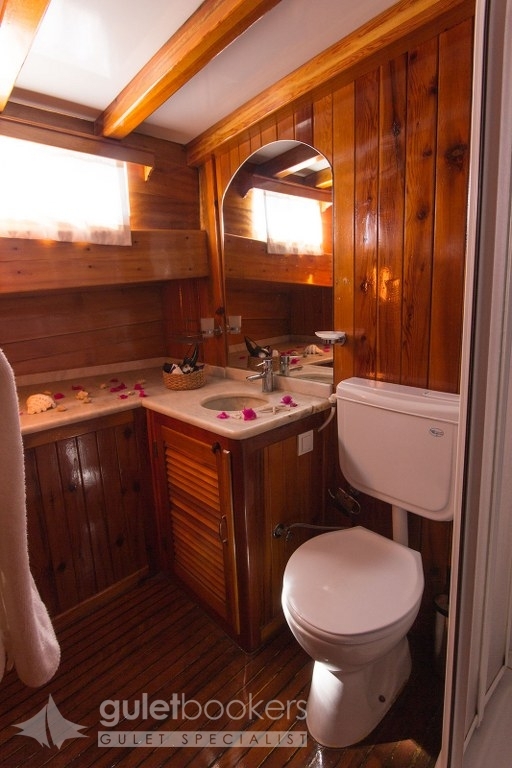 A practical arrangement of three double cabins aft and four triple or double plus single bed cabins forward will fit the needs of most groups or families who will find the cabins very neat and nautical, attractively lined in pine. 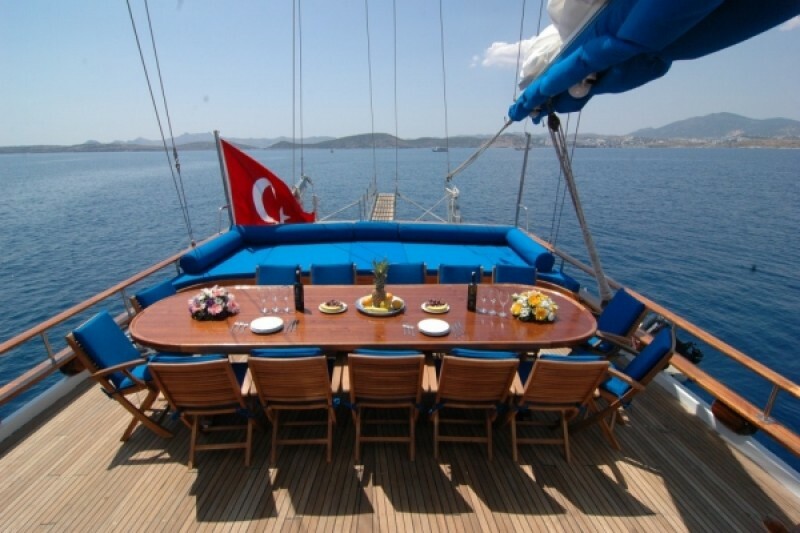 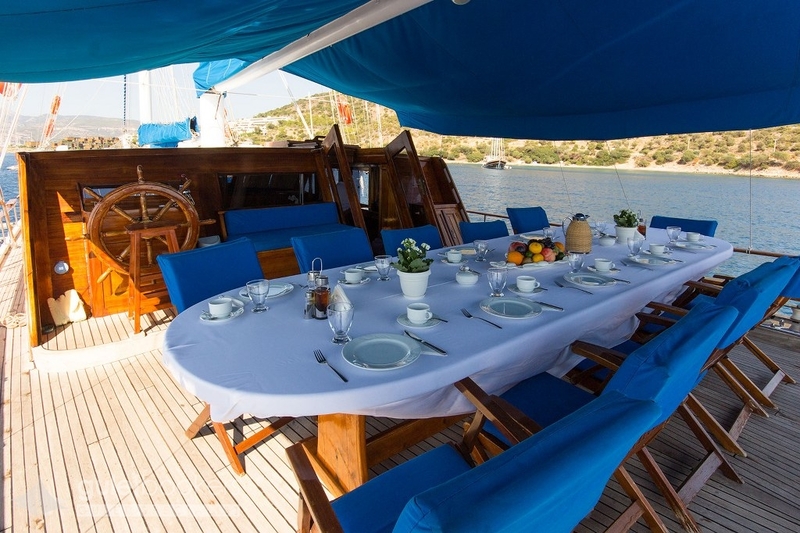 The sturdy Sunworld 6 standard gulet is full of character, ideal for up to fourteen guests, with spacious decks which hold all the attractions of relaxed cruise holiday afloat with the aft dining table and cushion bank under the awning. 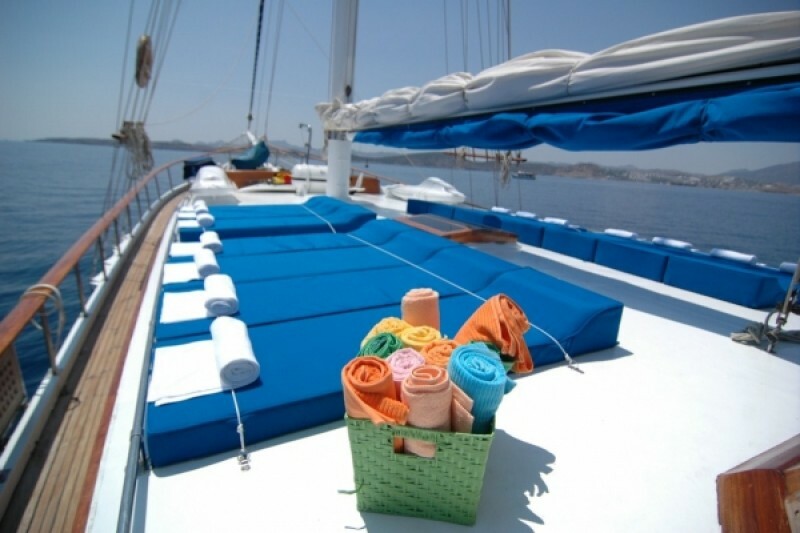 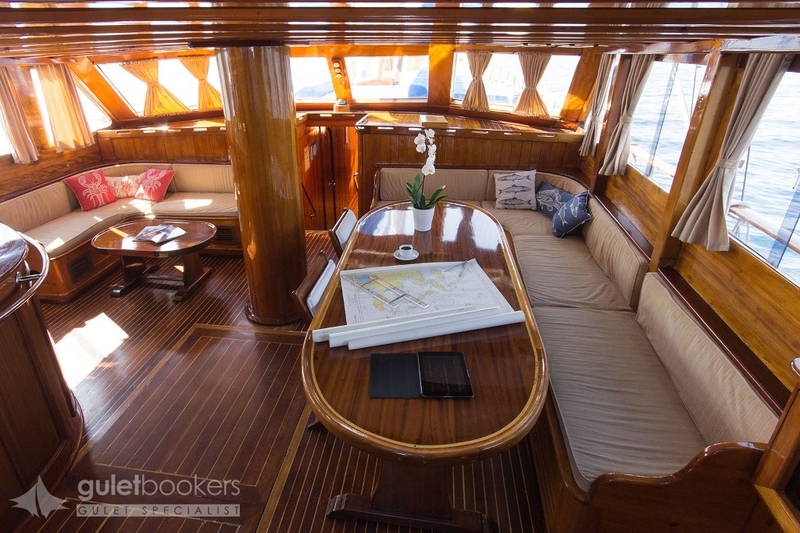 On the foredeck there are ample sunbeds for all plus the most popular spot, the seating bench forward which is ideal for the pre-dinner drinks gathering. 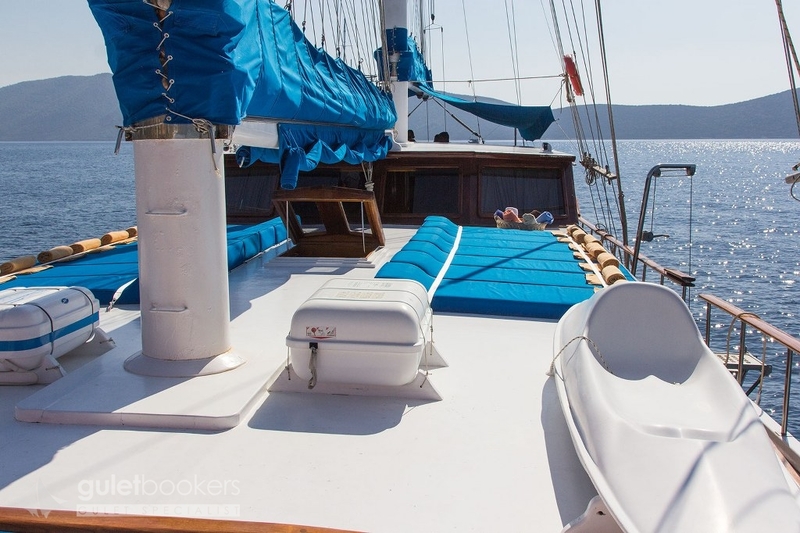 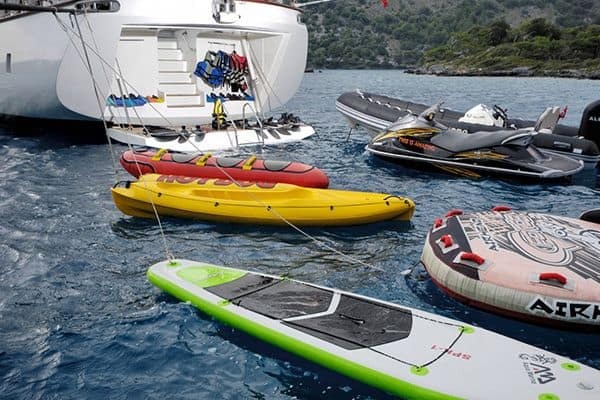 Canoes, windsurfer, fishing and snorkeling equipment can keep the energetic happy, or guests may have extra water toys added with the gulet charter.